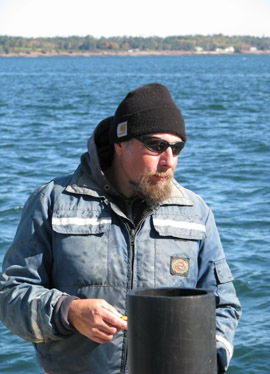 Steve joined MER Assessment Corporation in 2002. In the field, his primary responsibilities include sample processing, on-site measurements and testing, and sample preparation and storage. He also provides assistance operating remote real-time video recording equipment and with benthic sample collection. As laboratory assistant, Steve is responsible for laboratory equipment maintenance, and sample processing and inventory. His position also involves assisting with both qualitative and quantitative video review and analysis. Steve has created many of the icons we use in our graphic representations of video recordings, and he assisted with the original structural design of our website . He also maintains our video and boat equipment, prepares sampling equipment for fieldwork, and calibrates instruments prior to deployment. Steve is a YMCA-certified SCUBA diver and underwater photographer.